Then enter #ILoveSmallCharities and we could win £150! Tell the world why you love us between June 17th- 22nd. Please note any messages of love submitted outside these dates won’t be counted. 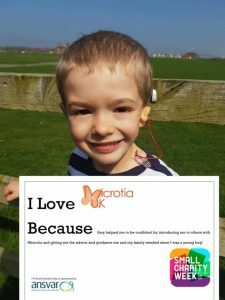 Post your photo message on the Small Charity Week page, making sure you include the name of your small charity and the #ILoveSmallCharities hashtag.